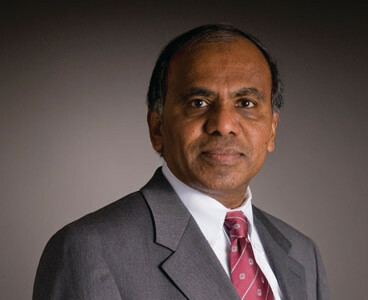 Carnegie Mellon President Subra Suresh has hailed the establishment of a new advanced robotics manufacturing innovation hub in Pittsburgh that will receive more than $250 million by the Defense Department to help revitalize American manufacturing and provide incentives to companies to invest in new technology development in the U.S.
Headquartered in Pittsburgh, the winning consortium – composed of state and local governments, industry, universities, community, including CMU, and non-profit organizations from across the country – contributed $173 million, to be combined with $80 million in federal funding. The independent institute was founded by CMU, and the Richard King Mellon Foundation played a particularly important role in catalyzing the CMU proposal. “”This new institute will provide significant benefits to the region and the nation, while creating enormous opportunities for CMU scholars and researchers, and new momentum for the university,” said Subra Suresh, who spoke at the Jan. 13 announcement at the Pentagon. “The institute, in return, will benefit from CMU’s expertise in technology, as well as its strengths in policy, ethics and human interfaces that will ensure that new technologies work to benefit humankind,” he said. The high-level award puts Pittsburgh and CMU at the center of a new wave of manufacturing, leveraging artificial intelligence, autonomy, 3-D printing and other emerging technologies to make industrial robotics more affordable for businesses of all sizes, adaptable for many uses, and able to achieve more. ARM joins the Manufacturing USA institute network, which is a bipartisan program that brings together industry, academia and government to co-invest in the development of world-leading manufacturing technologies and capabilities. Each Manufacturing USA institute focuses on a technology area critical to future competitiveness. In addition to robotics, other areas include 3-D printing, integrated photonics or tissue fabrication. Across the Manufacturing USA institutes, the federal government has committed over $1 billion, which has been matched by over $2 billion in non-federal investment. Besides CMU, other academically affiliated partners include Connecticut State Colleges and Universities, University of Connecticut.